Ivan Elezovic (DMA, University of Illinois at Urbana-Champaign) studied at the University of Manitoba, McGill University, and the University of Illinois working with Michael Matthews, Randolph Peters, Zack Settel, Alcides Lanza, Guy Garnett, Erik Lund, and Scott Wyatt. After receiving the Presser Award in 2001, he went to IRCAM (Institut de Recherche et de Coordination Acoustique/Musique) where he studied with Brian Ferneyhough and Marc-André Dalbavie. A year later, he was accepted at the Internationales Musikinstitut in Darmstadt, Germany where he worked with Isabel Mundry, Tristan Murail, Robert HP Platz and Valerio Sannicandro. 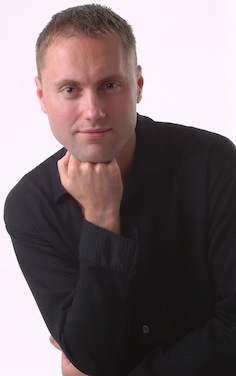 Dr. Elezovic’s compositional output ranges from acoustic to electroacoustic works including mixed media, and has been recognized by numerous competitions and festivals: Music Beyond Performance (University of the Pacific, Stockton, California); Electroacoustic Juke Joint (The Delta Music Institute, Mississippi), Electronic Music Midwest (EMM) (Kansas City, Kansas); SEAMUS (Iowa, USA); VI International Electroacoustic Music Festival of Santiago de Chile (Santiago, Chile); Seoul International Computer Music Conference SICMF (Seoul, South Korea); International Festival of Acousmatics and Multimedia (Buenos Aires, Argentina); North Carolina Computer Music Festival (North Carolina State University); the 10th Biennial Symposium for Arts and Technology (New London, Connecticut); the 36th Annual College Music Society-Mid Atlantic Chapter Conference (Staunton, Virginia); the Canadian Electroacoustic Community CEC (Montreal, Quebec); GroundSwell-New Music Series (Winnipeg, Manitoba); Global Stage Concert Project (Winnipeg, Manitoba); Vox Novus 60x60 Project; Palmarès du 32e Concours International de Musique et d’Art Sonore Electroacoustiques de Bourges (Bourges, France); and the International Tribune of Composers (Belgrade, Serbia). In 2005 Dr. Elezovic was awarded an Atlantic Center for the Arts residency where he worked with Master Artist Larry Austin, and created a new DVD/Audio piece, Mediterranean-Riots-Colors. Recently, Dr. Elezovic’s piece The Third Dimension for two violins and two voices of violin performers was published by ERM Media within “Masterworks of the New Era” project performed and recorded by performers from Czech Philharmonic. Instead of following a single style, Dr. Elezovic allows a number of materials and ideas to influence the approach and method for each new work. His compositional style, honed and refined in North America, demonstrates both a dedication to craftsmanship and a ceaseless pursuit of innovative conceptual goals. Currently, Dr. Elezovic is a Visiting Assistant Professor at Oberlin Conservatory of Music. May I ask you to…?